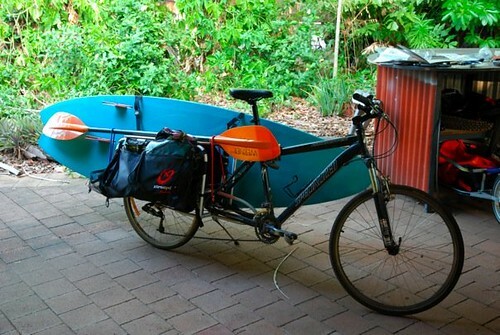 Have been Xtracycle converted since October 2008. Haven't used a car for shopping of any sort since. Kayak photo is immediately post-build. The Specialized Rockhopper 2005 has had a few upgrades since including a new fork and most recently a Brooks Flyer saddle. 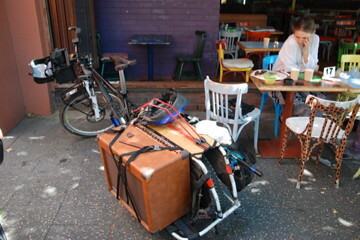 The other photo is a few weeks ago taking lots of music kit to a gig.